The US ADP reports supported the Fed interest rate hike. 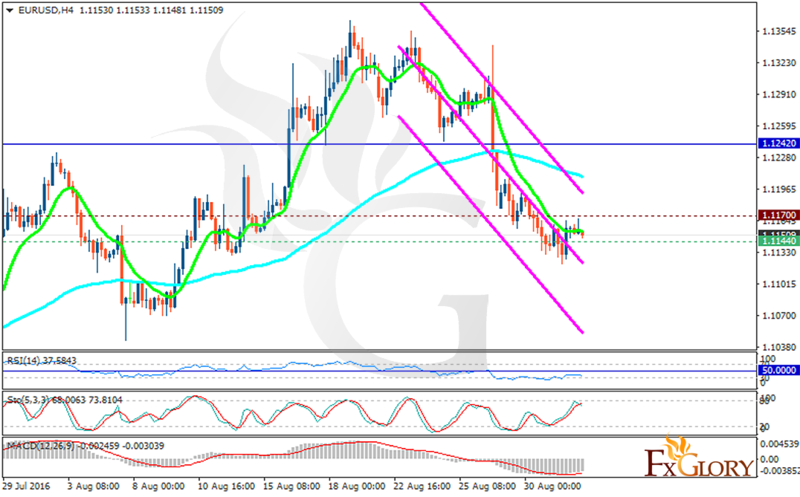 The support rests at 1.11440 with resistance at 1.11700 which both lines are below the weekly pivot point at 1.12420. The EMA of 10 is moving with bearish bias along the descendant channel and has crossed the EMA of 100. The RSI is moving in oversold area, the Stochastic reached its maximum rate and now is showing downward momentum and the MACD indicator is in negative territory. EURUSD is under pressure at the moment therefore short positions are recommended with the target at 1.1070.